The other day I was trying to come up with a good book to read, and I was reminded that a specific author was the brother of one of my co-workers. I had read a few of his books in years past, and was curious to see if he had anything new lately. In my journey to find a book to read, I stumbled across this little gem. Of course, I feel compelled to share. The Rock Bottom Remainders are an American rock and roll band, consisting of published writers, most of them both amateur musicians and popular English-language book, magazine, and newspaper authors. The band took its self-mocking name from the publishing term "remaindered book", a work of which the unsold remainder of the publisher's stock of copies is sold at a reduced price. Their performances collectively raised $2 million for charity from their concerts. 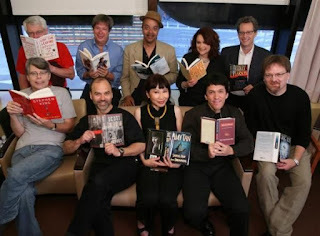 The band's members have included Dave Barry, Stephen King, Amy Tan, Cynthia Heimel, Sam Barry, Ridley Pearson, Scott Turow, Joel Selvin, James McBride, Mitch Albom, Roy Blount, Jr., Barbara Kingsolver, Robert Fulghum, Matt Groening, Tad Bartimus, Greg Iles, Aron Ralston and honorary member Maya Angelou among others, as well as professional musicians like multi-instrumentalist (and author) Al Kooper, drummer Josh Kelly, guitarist Roger McGuinn and saxophonist Erasmo Paulo. Founder Kathi Kamen Goldmark died on May 24, 2012. The Remainders was founded by Kathi Kamen Goldmark in 1992. Kathi was then a musician whose day job was in book publicity. Through this, she met many prolific authors. 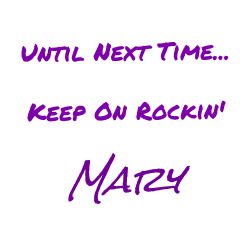 One day while driving one of the authors around, she came upon the idea of making a band of them. It stuck. The Remainders' first performance was in 1992 at the American Booksellers Association convention in Anaheim, California. A review of the concert in The Washington Post referred to it as "the most heavily promoted musical debut since The Monkees." The Remainders also played at the opening of the Rock and Roll Hall of Fame in Cleveland, Ohio in 1995. In April 2010, they began the Wordstock Tour presented by the Pearson Foundation and We Give Books, benefiting the children and schools of Haiti. The Remainders gave their last concert on June 23, 2012 at the annual conference of the American Library Association in Anaheim, where they played their first concert 20 years before. The event, cosponsored by ProQuest, raised money for library and information science scholarships. 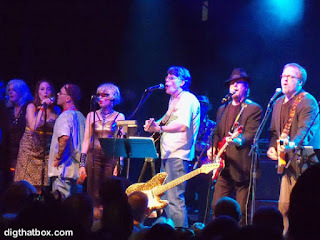 The Remainders last performed together on the August 6, 2012 episode of The Late Late Show with Craig Ferguson, on which both Stephen King and Dave Barry were guests (although the segment was taped in June 2012 when the band was in town for the ALA concert). In September 2014, it was announced that the Remainders would reunite to perform at the Tucson Festival of Books in March 2015. On March 15, 2015, the band's reunion was referenced in Merl Reagle's syndicated Sunday crossword puzzle. Titled "Book Notes," the crossword included the band's name and several puns using names of writers who were members. Of course, being authors, they have also authored a few books about their band. Perhaps now I will be able to read Stephen King at night when I am home alone.